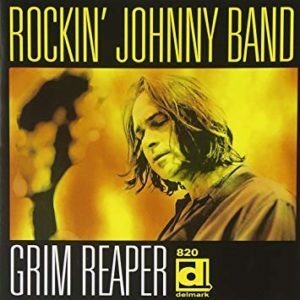 If you’re looking for more Christmas songs to add to your rotation this year, the last song on Rockin’ Johnny’s most recent Delmark record, Grim Reaper, “Party This Christmas” is a great addition. Despite this albums morbid title, and Rockin’ Johnny’s reputation for sharp notes and an intense persona and playing style, “Party This Christmas” is a fun and bright song that shows how Johnny “realized that pure happiness can come from prioritizing the moment”. Rockin’ Johnny Burgin started playing live blues as a side man for Taildragger, after coming to Chicago to pursue something else entirely. He grew up between Missouri and South Carolina playing guitar and came to Chicago to go to the University of Chicago, soon, however, he fell into the blues. He toured with artists Pinetop Perkins and Howlin’ Wolf drummer Sam Lay among others. After time spent honing skills thru live playing, he finally made his own band The Rockin Johnny Band, and they quickly became a fixture on the west side, with a residency at Smoke Daddy as the anchor between all their other live shows, and a number of recordings backing other artists. In 1997, they put out their first album Straight Out of Chicago, followed soon after by Man’s Temptation. After that, Johnny took a hiatus from music, to focus on his family and working outside of playing. Thankfully, this break didn’t last forever, and in 2012 he returned with this album, Grim Reaper. Currently the band continues to play live and record their own music as well as acting as the studio bands for others records.